4 1/4" closed. 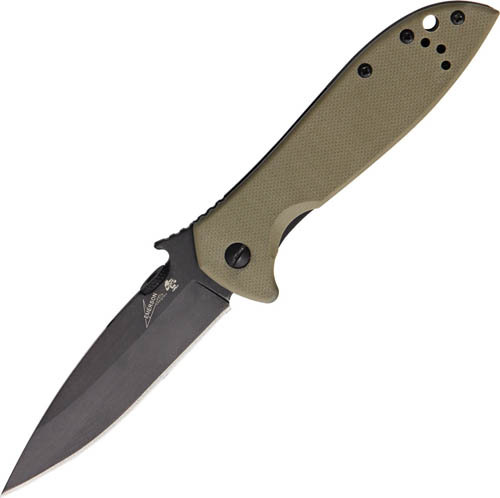 3 1/4" black finish 8Cr14MoV stainless drop point blade with thumb disk and wave feature. The wave feature allows the knife to be opened as it is withdrawn from pocket. Textured tan G-10 front handle and black finish 410 stainless back handle. Reversible black stainless pocket clip.